There are basically two kinds of safety razors – fixed-gap and adjustable. The difference between the two is pretty self-explanatory, but I’ll go ahead and give it to you since we’re all friends here, and I’ve got the time. Basically, depending on your preference, you might want to control the amount of blade that is exposed – either you want to be a daredevil, or you just want that much of a closer shave. Fixed-gap options do not let you change the gap between the blade and the safety bar; adjustable razors do. We talk about shaving a lot and one of the questions that we hear most often is “why should I switch to a safety razor”. We have answered this question countless times and after hearing ourselves say the same thing over and over again, we figured that we would simplify things. 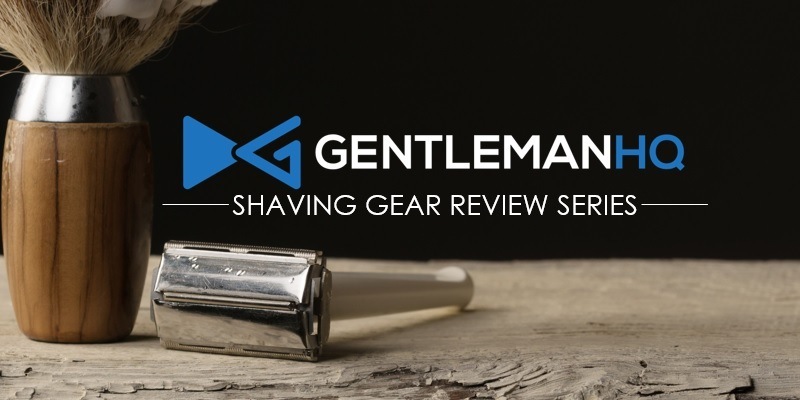 So, if you are hesitant to let go of your disposable razor and need a little shove in the safety razor direction – you’ve come to the right place. We are going to tell you the top 6 reasons that you should toss your old razor and make the switch. This is one of the most important reason to switch to a safety razor. The quality of your shave is very important and we would bet that your current razor isn’t doing the job. Safety razors are going to the best shave you have ever had. Trust us and give it a try. Your socks will be totally knocked off and you’ll probably never go back to your old shaving ways. There’s no way around it, shaving is hard on your skin…you are literally dragging a piece of metal across your face and that is bound to cause a bit of a skin irritation. Some men have crazy stubborn whiskers that are resistant to shaving and may require 3 to 4 passes with the blade to do the job. So, that is 3 to 4 times the damage that can be done to your face. A good way to combat this issue is to use a better quality blade the first time, which will reduce the amount of times the razor will meet your face. There are parts of your face that can be super difficult to shave with a regular razor. Areas that are in tight and hard to reach places on your face need a razor that can adapt without lobbing off some skin. Safety razors are able to maneuver around tight spaces, such as, under you nose. The mass marketed shaving cartridges that have multiple razors are hard to get clean, especially the ones that have those little plastic pieces behind the actual blade – forget about it, it’s hopeless. Safety razors are so easy to rinse out and the satisfaction that comes with watching the hair and shaving cream gunk washing down the drain is pretty nice too. You don’t even have to wait for your safety razor to get rinsed out before you continue with your shaving routine. You can actually just rotate the blade and keep going, which decreases the amount of time you spend shaving and extends the life of the blade a bit too. Now, adjustable blades sound interesting, you say. But which one is the best adjustable safety razor? Luckily, we decided to do a little research, and we decided in the end that the Merkur Progress is just about the top of its game. Don’t worry, we won’t drop that news on you without actually telling you why; just keep reading and we’ll tell you. What’s So Special about the Merkur Progress? First things first, the Merkur Progress is a fantastic adjustable razor because it actually has settings on its adjustable knob. When you want to change the gap, just twist the handle and stop whenever the line hits the number or mark you want it to be. The Progress is great for this kind of exact adjustment, since we tend to get to shave settings that we really like and want to be able to keep the razor at those levels. I don’t know why more adjustable razors don’t do this – it’s like not having numbers on your sound settings in your car. Now, we’ve talked about how the Merkur Progress is one of the best out there, but there are multiple models of the Progress we want to talk about – this will give you more of an idea of what you might be looking for. The Merkur 500 is the earliest model we’ll be talking about, so it’s definitely going to be the oldest – however, you’ll still get the lion’s share of the Progress’s awesome benefits. It’s really hard to say which one of these is the best adjustable safety razor, since they’re all in a class by themselves. First of all, the 500 (like the others) has a really nice body to it – the chrome/ivory combo in the handle and adjustable knob isn’t something these kinds of products normally do; it’s usually just chrome, or chrome and black, or some other crazy combo. The ivory look though, just works – stylistically, it likely matches the color of your shaving soap, so it all matches (if you’re as OCD about your shaving kit looking good as I am). Now, the knob itself is plastic, which you might find makes it feel less classy; I find, however, the plastic knob makes it a bit easier to grip, and won’t change temperatures too much – great for people who just hate having to grip cold steel. Plus, it doesn’t really affect the look overmuch, especially from a distance – it’ll still look appropriately old-fashioned. The 500 itself is a bit heavier than some of the other models, which is surprising since more of it is plastic. Still, I quite like the appropriately manly heft, since it lets the razor do the work for me (another advantage to an adjustable shaving option). The adjustability is quite smooth, but not quite as smooth as some of the later models of Progress. One of the things that strikes me most about the Progress 510 is that it has a slightly longer handle; this can be a hassle for some people who like to rest the bottom of the razor against the palm of their hand, but I quite like it since I grip by the handle. Keep in mind, you can still use the palm-leverage method, but the handle is just longer; you get to feeling like you’re casting a spell with your Harry Potter wand to make the bad facial hair go away. Of the three options here, I’d say the 510 has the best ‘shaveability’ out of all the Progress models we looked at. Running this blade across my face was a sheer delight – smooth, blemish-free, and no sign of redness. My skin practically glowed, and irritation was a thing of the past. Normally, I’d attribute that to my own stellar beard-shaving skills, but seriously, the Progress 510 is a pretty good deal. Granted, at about $71, it can be a bit pricey, but you really won’t regret getting it – you’re getting more shave for your money, and the Progress will last you for years and years. When it comes down to it, there’s not a lot completely different about the 570 than the 510 and 500; there are a few cosmetic changes to the design, but that’s it. The adjustable head looks more ‘closed,’ if that makes any sense; the blade is more fully enclosed in the head depending on what setting you’re at. The handle itself is wider, with a bit more girth – perfect for thicker hands. Still, it has the same length as the 500, so you can have a bit of a better angle to work with. All three of these models are effectively similar, in that they’re still the best adjustable option we could possibly hope for. The Merkur Progress as a product line is simply great; they give you the kind of control you want in a sharp object applied directly to your face, and allows you to know for sure that you can get the shave you want. All of these models run from about $50-$75, and will take any double edged razor you could think of (we like Feathers and Astra razor blades). Just make your own choice, and see what you think – we think you (and your face) will thank us. Hungry for more reviews? Eat up!